CPA Online is the internet division of The Credit Protection Association plc. 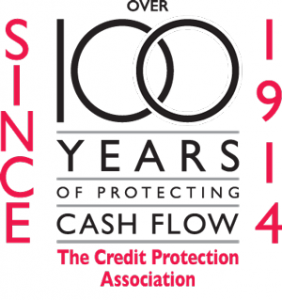 The Credit Protection Association has a long heritage in providing trusted, effective and ethical credit management solutions to UK businesses since 1914. CPA, is a market-leading credit management service used by businesses to prevent losses and improve cash flow. CPA offers a wide range of products tailored to the needs of modern businesses. The products that CPA supply have been developed over many years to provide reliable, cost-effective solutions to ease the impact that late payment has on many businesses whilst maintaining cordial customer relationships. The CPA Online franchise opportunity is exclusive and unique! A franchise with CPA provides a genuine opportunity to develop a long term asset, whilst enjoying a generous level of income. The CPA Online franchise is ideal for a franchise seeker that has a strong management background or experience in consultancy-led sales roles. CPA services are needed by businesses looking to reduce risk. By becoming a Franchisee with CPA Online, you will be instrumental in helping local businesses in your exclusive territory access cost effective credit management solutions whilst building your franchise with their repeat business. With a CPA Franchise you will benefit from an exclusive territory and be provided with comprehensive initial and on-going training. Additionally, you will benefit from the support of an experienced CPA Mentor and Regional office. The support of an experienced CPA Mentor and Regional Office to keep your business on track. We hope you enjoyed reading about the CPA Online franchise opportunity. We look forward to hearing from you to discuss the possibility of becoming one of the 25 additional franchisees we plan to recruit this year. Keen to find out more? For further details on this exclusive franchise opportunity call +44 20 38287091 or click here.